Those of us who have devoted our lives to studying and researching the humanities (such as Communication) understand the importance of our work and the potential it has to teach people about their world and how they can become better citizens of it. However, many still perceive the humanities as a waste of time and resources. How does Communication Studies, for example, compare with Biochemistry or Structural Engineering? Academic programs such as the latter usually receive more financial support for research efforts than the former. Why is this? There is a wide array of reasons for the misperception of the humanities as obsolete academic pursuits, and one of those reasons has been created by those of us who are a part of this branch of academia. 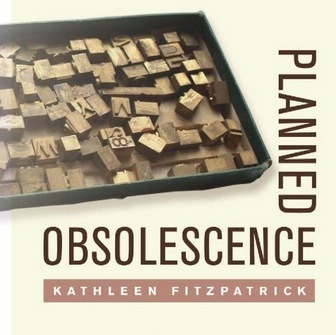 Kathleen Fitzpatrick, Director of Scholarly Communication at the Modern Language Association (MLA) and a professor of Media Studies at Pomona College, brilliantly elaborates further in her new book, Planned Obsolescence (2011). In this text, Fitzpatrick suggests we (we meaning those who work in the humanities disciplines) are making ourselves obsolete to the world outside of academia by stubbornly holding on to outdated concepts of blind peer-review and scholarly publishing. Fitzpatrick calls for dramatic changes in both academic peer-review and publishing, changes that would fundamentally change how we perceive the notion of the author, the process of writing, and the texts we write. 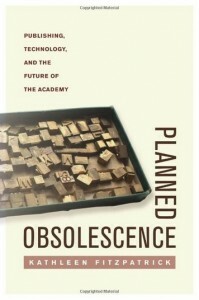 As a first year doctoral student who is aspiring to pursue a career in academia and in the humanities specifically, I found Planned Obsolescence to be well written and the main points effectively argued. Here, I summarize the main ideas of Planned Obsolescence for those readers who may not have time to read the whole text. I conclude with a brief review of the text. Fitzpatrick begins by discussing academic peer-review; particularly the history of peer-review, the assumptions we have about the process and why some still defend it today, and finally, how peer-review could be changed and hopefully improved: by incorporating reviews of the reviewers themselves, making it a more open and communal process, switching to a post-publication review system versus a prepublication one, and changing how we receive credit for scholarly work. “if we enjoy the privileges that obtain from upholding a closed system of discourse sufficiently that we’re unwilling to subject it to critical scrutiny, we may also need to accept the fact that the mainstream of public intellectual life will continue, in the main, to ignore our work” (Fitzpatrick, 2011, p. 20). She makes a few suggestions about how to change the process of peer-review to better adapt to the digital world we now live in. She reminds us that the term ‘peer’ originally only referred to another member of the Royal Court, but that it gradually shifted to also meaning a scholarly colleague (i.e. another professor from your discipline).Today, she argues, the term is shifting in meaning again; it now refers to just about anybody, not exclusively to professionals from certain disciplines.The advent of online peer-to-peer networks such as Facebook exemplifies this. According to Fitzpatrick, publishing is changing forever as the Internet becomes a significant part of our lives. She asserts we need to adapt to this new ‘digital world’ or risk becoming obsolete to the public. We can adapt, she argues, by switching from the blind and anonymous peer-review system of the past to a ‘peer-to-peer review’ system for the present in which our online ‘reviewer reputations’ are measured and subsequently used to form our academic credentials. Fitzpatrick continues to argue that blind and anonymous peer review should stop being used as a gatekeeping feature, determining what is and what is not published. Instead, we should publish everything (the Internet allows us to do so, after all) and then use a new form of peer review to filter out the good research from the bad. In other words, we should stop reviewing and then publishing and should instead start publishing everything and then reviewing it to sort out the good from the bad (this would allow for a greater and more diverse scholarly dialogue about our respective topics of study). Furthermore, the quality of our reviews of the work of other researchers will determine how good our ‘reputation’ on the Internet becomes; the better reputation we have, the better our credentials as academicians will become. While giving the example of a website project she has been a part of, MediaCommons, Fitzpatrick explains that, “In a peer-to-peer reviewing system, ‘reputation’ will be determined not simply through an assessment of the scholar’s own production, but through an assessment of her reviewing practices” (2011, p. 46). She states that for this proposed ‘network publishing’ system to succeed, we need to stop focusing so much on the individualism that is prevalent in the academic culture of the humanities and need to switch to a more communal emphasis. She continues,“If reviewing were a prerequisite for publishing, we’d likely see more scholars become better reviewers, which would in turn allow for a greater diversity of opinion and a greater distribution of the labor involved (p. 47). Of course, if we change peer-review so dramatically by opening it up to the Internet, our notions of what it means to be an author will change as well. In Chapter Two Fitzpatrick focuses on how the growth of the Internet has affected our notions of authorship. She makes the point that with dramatic changes in the technology we use, there will inevitably be dramatic changes in how we write and how we perceive ourselves as writers. Before the invention of the computerized word processor, for instance, we were much more limited in our flexibility when it came to writing and academicians rarely typed their final documents (other people did their typing for them). Today, the vast majority of us do our own typing. The word processor of years past is the Internet of today—it is again revolutionizing our profession. Fitzpatrick suggests that, with the arrival of the Internet, we should completely switch our focus when we write. She calls for us to open up our writing process by doing it online, for all to see, and to thus take full advantage of the information, advice, and resources offered by anybody else who is interested enough in our work to read it while we are working on it. Up to this point we have focused on the finished product; on publishing a completed book manuscript, scholarly article, or other document. However, if we open up our writing process by placing it all on the Internet and if we edit texts as we receive comments from peers, we can focus more on the process of writing than on the product. Accompanying this, Fitzpatrick advocates a switch from an individual mindset of writing to a collaborative one. 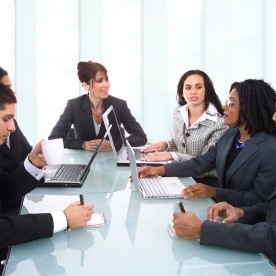 The Internet allows us to cooperate with each other, comment on each other’s work, and create higher quality documents through collaborative partnerships. Furthermore, and logically following on this argument, she suggest that the new digital environment will allow us to ‘remix’ scholarly writing by creating mash-ups of previously published work and presenting the information in new and innovative ways. She advocates for the creation of online databases that will allow us to access a multitude of different sources, and gives examples of a few of them. If all the above happens, we will have to change our notions of intellectual property and what we see as a ‘text’. This point leads to the next chapter of the book. In the third chapter, Fitzpatrick discusses the nature of ‘text’ and criticizes our lack of imagination for how we have used the new technology of the Internet to invent new types of text. Most of the ‘new’ inventions that relate to texts, such as e-books, are still based on the old structure of the book. Fitzpatrick makes the valid point that this exemplifies the fact that it’s very hard for us to think about new ways of doing things without comparing them to the old way of doing things. She mentions blogs as one of the few examples of an innovate creation that can be adapted for digital scholarly publishing and gives examples of a few specific projects. She also spends much time talking about hypertext, our adaption (or lack thereof) of it, and other technical elements related to it. She next discusses the history of reading and how it used to be more of a communal process than it is today. Next she informs us about CommentPress, a website that allows every section of a text to be commented on; the comments are displayed on the side of the specific section of the text that was commented on, as opposed to the very bottom of the entire text (which is what most blogs do today). She stresses that we need to remind ourselves that, “all publication is part of an ongoing series of public conversations, conducted in multiple time registers, across multiple texts” (Fitzpatrick, 2011, p. 120). After all, the whole point of scholarly publication is to create dialogue between scholars, and between the academy and the public, which will hopefully lead to productive and positive changes to society. If we wish to follow the above philosophy of scholarly publishing, reframing how we think about our own writing and looking at it as a more collaborative process would seem to make sense. If we do indeed place all of our work into the digital sphere, we will have to rethink the preservation of those texts so that future researchers can access them. In Chapter Four, Fitzpatrick discusses the concerns people have had about how we will be able to preserve documents that only exist in the digital world. She makes the point that books themselves are often more ephemeral than we assume and that computer records can be more permanent than anything on paper. However, while we have developed very good systems for preserving paper (libraries, etc. ), we had centuries to do so. We do not have centuries to figure out how to preserve digital documents, we must figure it out now, or online scholarly publishing would be useless. She next talks about metadata, or data about data, and the need to preserve not only digital texts, but information about those digital texts that will become relevant for how they are used in the future. Technology will change so much in the future that we must add notes to our digital texts about the hardware and software requirements needed to access them. The chapter on preservation concludes by talking about access and making the point that to preserve digital files, we must allow access to them and must ensure that this access continues even if the original digital publishers of the files cease to exist in the future. The dramatic changes suggested above will not be possible, according to Fitzpatrick, unless we first make some fundamental changes to how our respective universities treat academic publishing. Fitzpatrick introduces the last chapter by asserting that none of the changes she has advocated for thus far are going to be possible if the current economic model of publishing, which she refers to as wholly unsustainable, does not change. She offers a few ideas for how we might change things. Her first suggestion is for universities to stop focusing on making publishing profitable and to start focusing on how they can pay for publishing and how to make it a non-for-profit venture. If universities indeed exist to promote the production and dissemination of knowledge, then they should not care whether they can make money off of all the research their respective faculty produce. Following this logic, Fitzpatrick asserts that, “open-access modes of distribution would seem to be far more in keeping with that mission than would be the [current] closed, cost-recovery system” (2011, p. 161). She continues to argue that new collaborations should be formed within universities to help in changing this model, particularly collaborations between big university presses, libraries, and information technology departments. She asserts university presses should publish all the research from their own universities, and not focus on outside research. For example, New York University Press would publish all the work coming from NYU, and reject non-NYU submissions. This way, everything would get published and one of the central missions of universities, that of creating and disseminating knowledge, would be accomplished. She suggests that smaller universities that do not have their own presses could create a system that would allow them to take advantage of bigger universities’ presses. She concludes the chapter by mentioning that in one way or another, university presses must be made financially sustainable. She suggests the process, rather than the product, of scholarly publishing, could be monetized. The audience for scholarly writing is too small to monetize the product, but by allowing certain levels of advanced digital access and interaction with the published texts (assuming they will be primarily published online and not in old-school print), we could monazite the process of scholarly writing itself and make it sustainable by encouraging scholars to pay for the chance to mix certain texts together and to interact with them digitally in other ways. In the conclusion, Fitzpatrick uses one final case study…this book itself. She posted the whole Planned Obsolescence (2011) text onto CommentPress and had readers review it. There were positive and negative results from this experiment. She states that she received a much wider range of opinions and critiques than any traditional blind peer-review would have accomplished (there were a total of 295 comments from 44 people) and that, “if the purpose of publication is getting one’s work into circulation, my still-in-process manuscript arguably succeeded far better than most finished academic books ever will” (2011, p. 189). However, she also notes that early sections of the text received far more comments than later sections, she was not sure how to interpret the sections that received no comments at all, the comments were on specific sections of the text and not about the text as a whole, and most people that visited the site did not make any comments at all. To deal with these potential issues in open-access peer-review of the future, Fitzpatrick suggests a stronger focus on building an online peer-to-peer community that has great incentives to read and comment on entire texts. She says we must find ways to reward this form of online review if we want the quality and quantity of the reviews to be acceptable and useful. Finally she reminds us that, “without a sufficient collective will to change, we could easily find ourselves in an increasingly profit-driven, corporate-controlled publishing environment in which the gap between the publishing ‘haves’ and ‘have nots’ (and thus between research faculty and teaching faculty, and between top research institutions and the res of us) continues to widen” (2011, p. 195). She encourages us to “create the change that will keep scholarship generative” (p. 196). In the introduction to the text, Fitzpatrick (2011) states, “the greatest challenge we face is not…obsolescence, but our response to it” (p. 13). Planned Obsolescence delivers a thought-provoking, comprehensive, and insightful argument about the current state of peer review and publishing in the humanities and how we should change it to prevent becoming obsolete to the general public. Through her use of numerous case studies and real-world examples, Fitzpatrick provides good evidence to support her arguments. While the technical information about specific software issues (i.e. hypertext and HTML) in Chapter Three was a bit over my head and might be for others who do not have advanced knowledge of how websites are created, the majority of the text is easy to follow and understand. I am both frustrated by the lack of change as a result of the change-averse culture of academia and optimistic that my generation of scholars (and those who came just a bit before us) will be able to revamp many aspects of peer-review and publishing systems to combat our growing obsolescence in the mind of the public. I have been inspired by some of the changes Fitzpatrick advocates for and I believe the writing is on the wall; we must adapt to the changing world of information dissemination via open access and peer-to-peer Internet networks to improve upon our current scholarship and to better achieve our ultimate goal (to discuss, create, and disseminate useful information and research to as many people as possible). All the ideas and suggestions of this text will probably not succeed, but some of them just might, and those that do will help to steer us in the right direction towards making some needed amendments to the way we do things in order to adapt to the new digital world that we, and our audience (the public), live in. 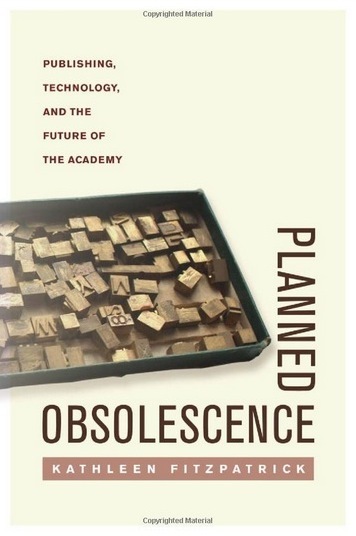 Any aspiring scholar in the humanities should read the original Planned Obsolescence text, as should any other scholar who wishes to understand and adapt to how the future might look like, in terms of increasingly digitized scholarly peer-review and publishing.